Our carnival games are a great way to add fun and excitement to your event. 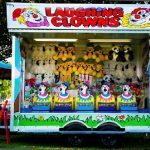 Smart Amusements have a variety of carnival game solutions including the classics such as the laughing clowns and high strikers, test of skill games as well as raffles and spinning wheel equipment for hire. You are sure to find the right entertainment for all ages from children to adults who are big kids at heart. These are ideal not only for family events but corporate and school fetes and festivals that are in need of activities that are fun for all. 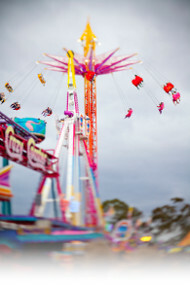 For the complete set up, make sure to take a look at our carnival ride hire in Melbourne which is complete with family rides, children’s rides and a great selection of jumping castle entertainment that is fun for riders and spectators. With a massive range to select from, you are certain to find the perfect solutions for your needs in the one place. If you have any questions about the hiring process or would like to enquire about a particular item, please get in touch with our friendly team and we’ll be happy to help. All the classic games and activities such as laughing clowns and dunking machines. All the equipment you need to run raffles or run a successful spinning wheel.